We all hope it never happens to us, but everyone time we jump into a car we are at risk of getting into an accident. Minor accidents, or fender benders, happen every single day and often involve running up the back of another car or having the same thing happen to you. You thank your lucky stars you didn’t get hurt, jump up and down remembering you are covered by insurance, and get on your way. One thing many people don’t think about is the effects of whiplash and the pain it can cause down the track. Whiplash occurs when your head moves backwards and then forwards at a great force, for example when a car hits you from behind it sends your head into this motion. At Our Chiro Chiropractic Clinic Brisbane we are specialists in the treatment of whiplash injuries. Treatment of whiplash can vary from case to case but techniques used at Our Chiro are gentle and effective. Our practitioners use a range of modalities that best suit the patients care needs. 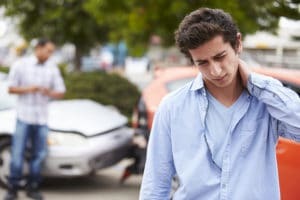 If you have been in a car accident and think you might be suffering from whiplash, be sure to visit the experts at Our Chiro to get rid of your pain and regain full function of those neck muscles.